Please click on the button below to submit a prescription refill. Once your refill is ready a pharmacy representative will contact you. If you have any questions please contact us at 888-244-4811. Transfer your Prescriptions with ease! Bringing all your prescriptions to one pharmacy is convenient and can positively impact your health. 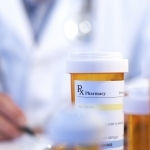 Transferring your prescriptions is easy at ExpressMedsRX Specialty Pharmacy, just call or stop by. Let us take it from there! We’ll contact the pharmacy and/or doctor if needed and have your prescription waiting for you when you arrive or delivered right to your door.